Meniscal injuries are among the most common knee problems. Sometimes a wrong move is enough – and the meniscus tears. It is important that one does not ignore knee pain or knee joint effusion and go to the doctor early. Only a quick and correct diagnosis can prevent consequential damage. 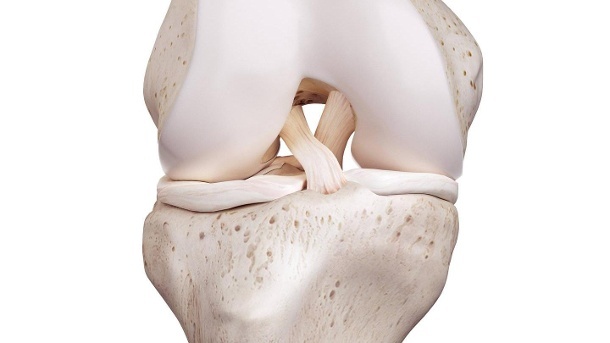 In the human knee joint there are two menisci each – the inner and the outer meniscus. The crescent-shaped cartilages between the thigh and lower leg are important structures in the joint. They serve as shock absorbers and pressure distributors and adapt the different structures of the upper and lower leg to each other. This protects the joint from wear. The outer meniscus is generally more mobile than the inner meniscus, which is fused with the joint capsule and the inner knee ligament. The meniscal tear is one of the most common knee injuries. Mostly it arises when thighs and lower legs twist in the knee joint under high load against each other. The inner meniscus is overloaded and can tear. The outer meniscus, however, is less affected. Depending on the location and course of the tear, the meniscus may lose its properties as a buffer. Then the load on the articular cartilage increases between thigh and lower leg. “In younger people, meniscal injuries usually occur as a result of accidents, for example due to sports or traffic accidents,” explains Rainer Siebold, a specialist in orthopedics and trauma surgery in Heidelberg. Such an injury usually leads directly to pain in the knee joint. If the meniscus is additionally torn, the joint can block. Affected people can no longer bend or stretch the knee correctly. Sometimes the joint swells as well. According to Siebold, there is a high risk of meniscus injuries involving sports with opposing influence. Frequent stop-and-go movements and changes of direction such as football, handball, basketball and volleyball or skiing are dangerous. The injury of the menisci and torn fiber parts in the joint can also lead to an accumulation of joint fluid (synovial fluid) in the knee joint gap. Doctors speak of a knee joint effusion. It forms as a result of an inflammatory process in the knee joint and ensures a swelling that is clearly tactile. When the knee joint effusion presses on the surrounding tissue, it can cause pain, both at rest and during exercise. Cooling (ice packs), immobilization and cooling ointments help reduce the swelling of the knee. An elastic wrap also helps to reduce the initial swelling. Any strain on the knee should be avoided. The use of an analgesic, anti-inflammatory drug may also be useful. If the effusion does not recede and there is a suspicion of a meniscal tear, a doctor should be consulted to decide on further treatment. Sports accidents are not the only cause of meniscal injury. Damage to the meniscus can also be caused by wear over the years and decades of stress. Over time, the acting forces change the structure: The tissue of the meniscus rubs and damages the articular cartilage. “Many patients feel pain going down the stairs when they crouch down or squat off their knees, usually on the inside of the knee,” says Thomas Pauly, chief physician of the Department of Orthopedics and Rheumatology at the St. Elisabeth Hospital in Meerbusch (North Rhine-Westphalia). In case of previous damage, even a simple bend or a lighter position can lead to tearing of the meniscus and sudden pain. Due to wear and tear, the meniscus often changes in middle age, for example at the age of 40, sometimes earlier. “It varies from person to person and depends on the individual nature of the fabric,” explains Pauly. Obesity or lack of exercise also promote wear and thus increase the risk of meniscal damage, as well as occupations that work on the knees or in the squat. Not only because of the pain meniscus injuries must necessarily be treated. “A torn meniscus is always the beginning of osteoarthritis , the progressive destruction of the joint,” emphasizes Pauly. If an injury is the cause, an operation is usually considered. Either the tear can be sewn or damaged parts of the meniscus can be removed. Both operations are usually performed gently by means of a joint mirroring (arthroscopy). What is needed are only small, punctate cuts. The meniscal suture (meniscal repair) allows complete maintenance of the meniscus – the long-term chances of success are greatest. However, whether a tear can be sewn depends on the location and type of injury, age and physical fitness of the patient and other factors. When meniscus removal or partial removal (partial meniscal resection) in the context of arthroscopy, parts of the meniscus are removed on a smaller scale, the patient can often fully restore the knee shortly after the operation. A meniscal suture, however, has to heal longer and requires a little more patience. In the first three to six weeks walking aids are mandatory to relieve the knee joint. Meniscal tear: Which operation is the right one? Siebold strongly advises against deciding on partial removal solely because of the faster reusability, “A patient who already has a meniscal component loss as a teenager or a younger adult has a very high risk for a subsequent osteoarthritis, ” warns the knee specialist. In the case of wear-related meniscal tear, there is no chance that the meniscus will heal itself again by sewing and thus be completely preserved. The surgeon tries to stabilize the tear in these cases by removing the unstable parts and leaving as much meniscus as possible. If the articular cartilage has already suffered a lot, because a meniscal injury has not been treated, it may also be that an operation brings nothing more. “One would then try with drugs and physiotherapy to get the pain under control and delay an artificial joint replacement as long as possible,” says Pauly. For a positive course of recovery after a meniscal tear surgery, sometimes physiotherapy is required. 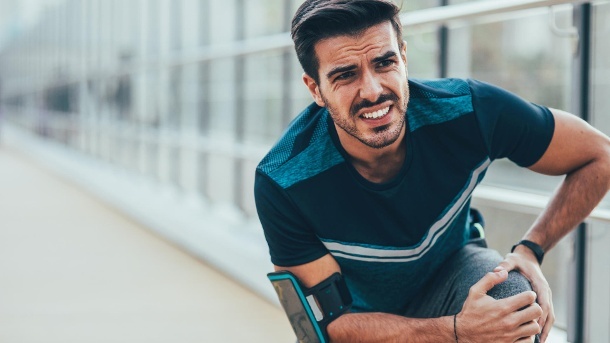 It is usually prescribed when the healing process does not go well on its own, explains Sascha Knappe, a practicing physiotherapist and rehabilitation coach at the football regional league club VfB Lübeck. It is also important to strictly adhere to the times laid down by physicians and therapists for protection and relief. “If something should heal, it also needs rest,” Knappe stresses. Frequently, however, patients would claim to be fit as quickly as they know it from competitive athletes. “But the physical conditions regarding lymphatic drainage, blood circulation and joint-stabilizing muscles in competitive athletes are quite different,” emphasizes the sports therapist. Meniscus injuries, inflammation, bad posture, tendon damage, vascular problems: Since knee pain can have various causes and not always a problem of the meniscus causes the pain , it is important to see a doctor in time. Only when you know what torments the knee joint can be treated properly. Anyone who ignores the pain in the long term and tries to alleviate the symptoms on their own with home remedies risks worse damage. PREVIOUS POST Previous post: Problem Over tourism Where to go with the tourist crowds? NEXT POST Next post: What can you really lose weight with?